Stressing the importance of scientific integrity in decision-making regarding offshore energy development, Bureau of Ocean Energy Management, Regulation and Enforcement (BOEMRE) Director Michael R. Bromwich today highlighted the role of the bureau’s Outer Continental Shelf (OCS) Scientific Committee in evaluating the bureau’s research and scientific agenda. Director Bromwich spoke to the Committee during its annual meeting and highlighted the Department of the Interior’s recently completed Scientific Integrity Policy and the renewed focus on developing robust, credible scientific research to inform decision-making. The Committee met this week in Hyannis, Mass., and covered relevant topics including next steps for renewable energy programs and an update on activities for National Ocean Policy priorities. Other presentations included ongoing and future research pertaining to the Deepwater Horizon Oil Spill; a report on the bureau’s recent Gulf of Mexico Information Transfer Meeting; a discussion on renewable energy federal partnerships with the Federal Energy Regulatory Commission, the National Oceanic and Atmospheric Administration, and the Department of Energy; and reports on national and regional studies plans for fiscal years 2012 and 2013. Members of the public attended the meeting and provided comments. The OCS Scientific Committee is a public federal advisory committee of distinguished scientists. 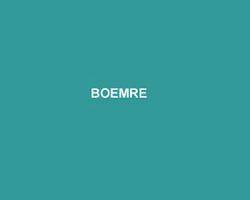 The Committee advises the Secretary of the Interior, through the BOEMRE Director, on the appropriateness, feasibility and scientific value of the bureau’s OCS Environmental Studies Program and informs decisions related to environmental aspects of the offshore energy and marine minerals programs.